The other day a news report caught my eye. The dairy industry, it seems, is up at arms regarding the definition of “milk.” “Milk,” they say, “must come from secretions of a cow.” The target of their ire was the booming soymilk, almond milk, rice milk, etc industries. This may make you snicker, but it is big business and has serious implications. You see, this has happened before. 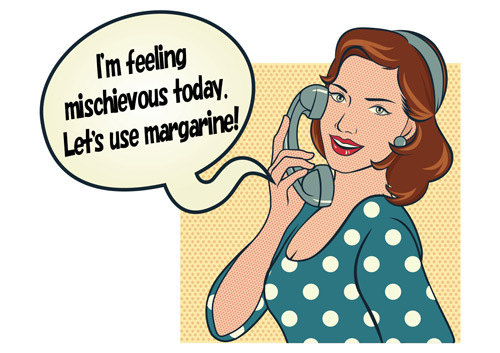 It was 1886 (the same year Coca-Cola was invented) and the U.S. government had seen fit to act upon the dire threat of…margarine and CRIMES AGAINST BUTTER! Yes, once again the dairy industry (those guys again!?) appealed to congress to help stop the horrible carnage brought about by the dastardly criminal minds behind the oleomargarine racket. A Mr. John L. McMonigle was arrested and went to prison (twice!) 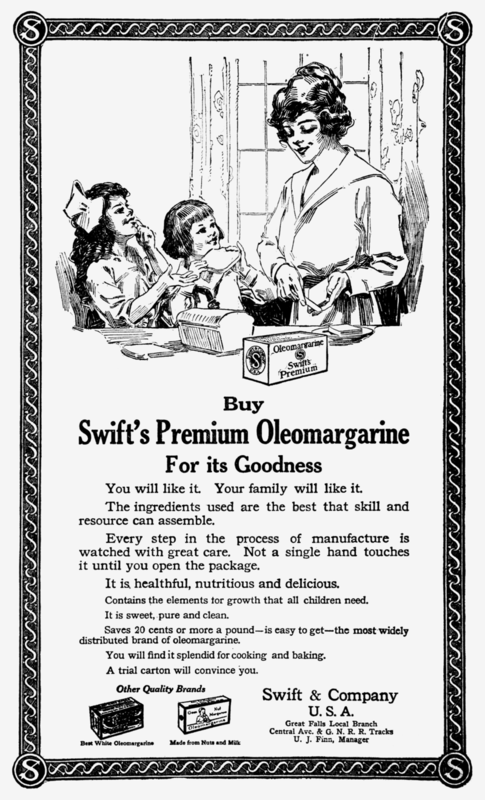 for violating the Oleomargarine Act. 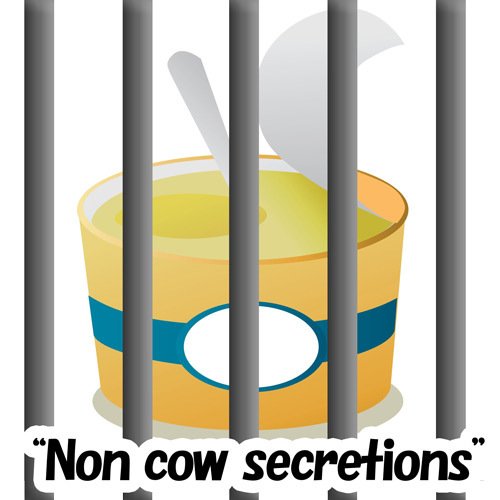 His crime…trafficking in margarine. In 1869 a French chemist, Hippolyte Mège-Mouriès, invented margarine, a butter substitute made mainly of refined vegetable oil (back then, animal fat) and water. The dairy industry saw their bread and butter (or at least butter) in danger and raised heck with congress. Well greased, congress acted swiftly by creating an official definition of the correct composition of butter. 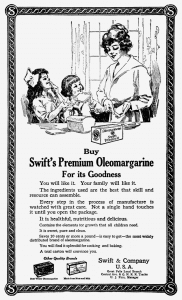 With oleomargarine excluded from this definition, the butter substitute was slapped with a two-cent per pound tax. On February 27, 1899, the dairy commissioner (there was a dairy commissioner?) of Ohio brought charges against a J. B. Thomas for serving oleomargarine to disabled volunteer soldiers. For example, I learned that it is illegal to sell my children here in Florida. Lawyer Janet Altschuler confirmed the law exists. Who knew?